Tucked away in a fold of green fields above the River Tay, at the end of a very narrow and bumpy track, is one of the most extraordinary churches I’ve ever seen. It doesn’t even look like a church from the outside: there’s no tower or spire, no belfry and no outward adornment whatsoever. 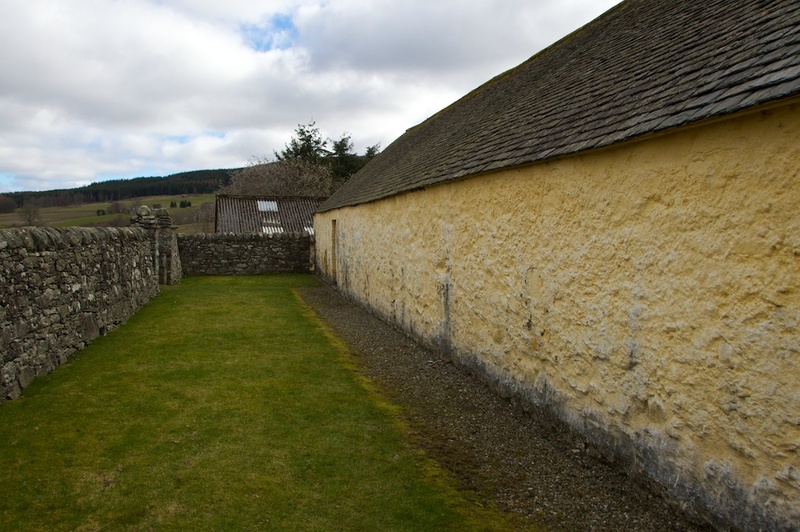 Sitting low to the ground, plain and rectangular, it resembles a whitewashed longhouse, of the kind that used to incorporate a dwelling and a cow byre under the same roof. This is one place that I’m glad I looked up beforehand, because we might have been searching for ages if I hadn’t known what it looked like. You approach through a kissing gate, beneath a big old willow tree in a farmhouse garden. 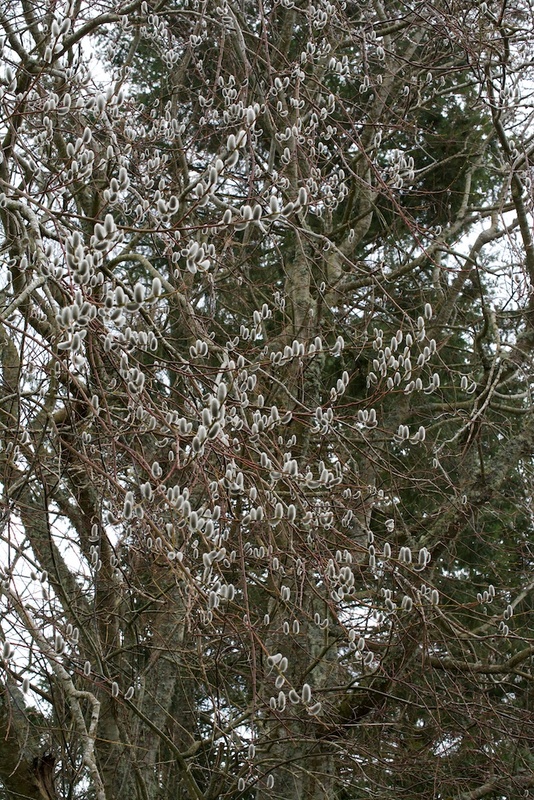 At the time of our visit, which was late March, it was decorated with thousands of fluffy catkins – an absolute delight. Having reached the churchyard, you enter via the only visible door, cut into the thick wall of the building. A couple of steps down, and you’re in the body of the church; it’s almost pitch black, but motion sensors automatically detect your presence and turn on the lights. Then, you forget about the cold and musty air as you gaze in speechless awe at the roof above your head. 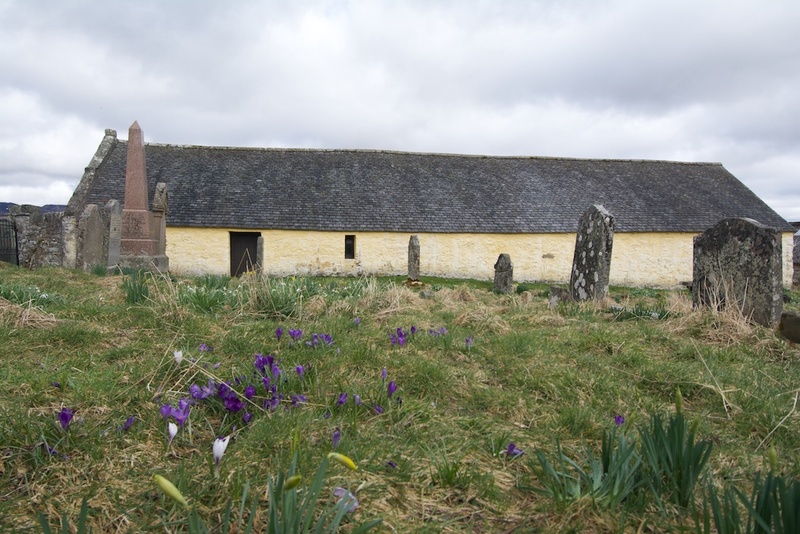 There may have been a church here at Grandtully as long ago as 1250, but the present one dates from about 1533, which is when Alexander Stewart of nearby Grandtully Castle gave part of his estate to the canons of St Andrews Cathedral. 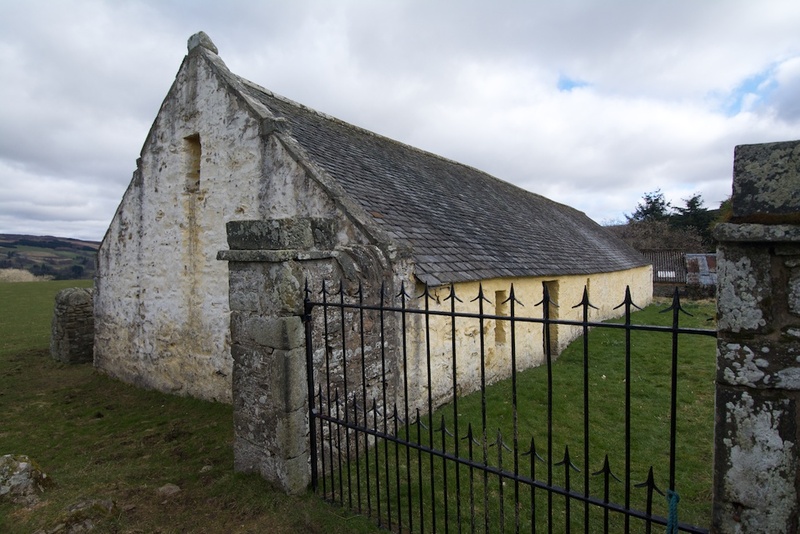 In 1636 his descendant, Sir William Stewart, who served as Sheriff-Principal of Perthshire under King Charles I, refurbished the chapel “to make it suitable for reformed worship”. 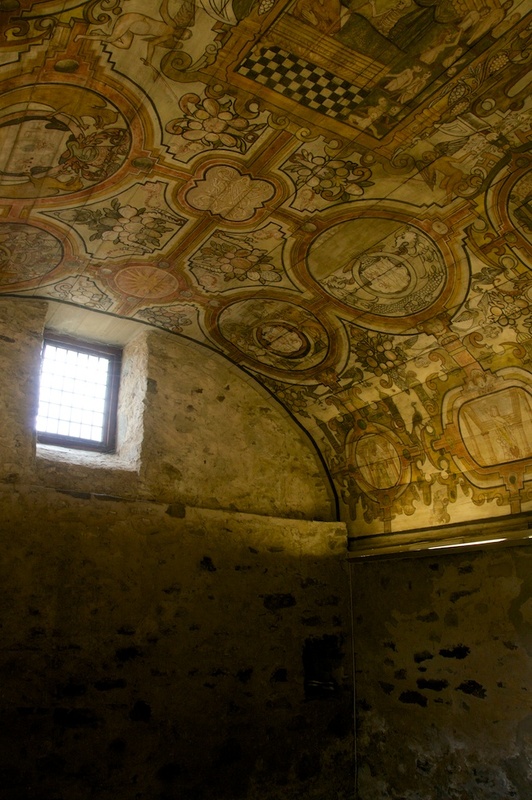 He added an extension to the west, and installed a magnificent painted ceiling. 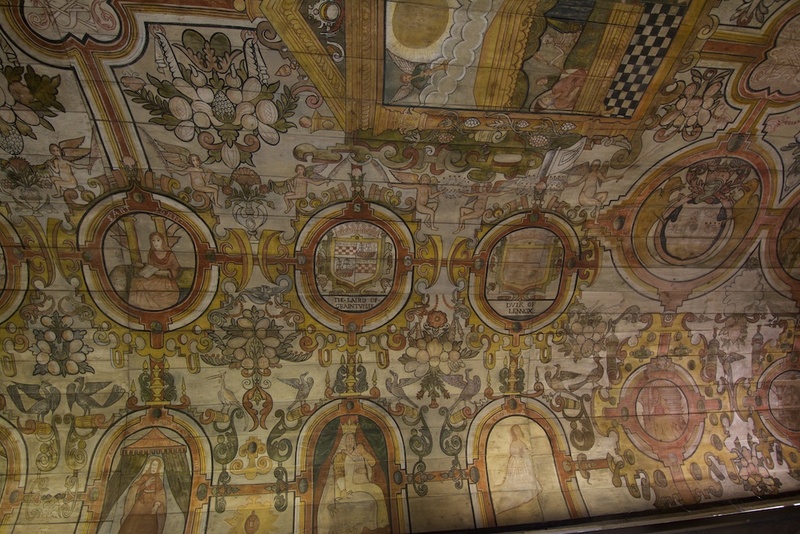 “The painted ceiling is one of only two church ceilings of the 1600s now remaining in its original setting (the other is in the Skelmorlie Aisle, Largs). The surviving ceiling covers the eastern half of the chapel; it is not known if it originally stretched over the entire building. 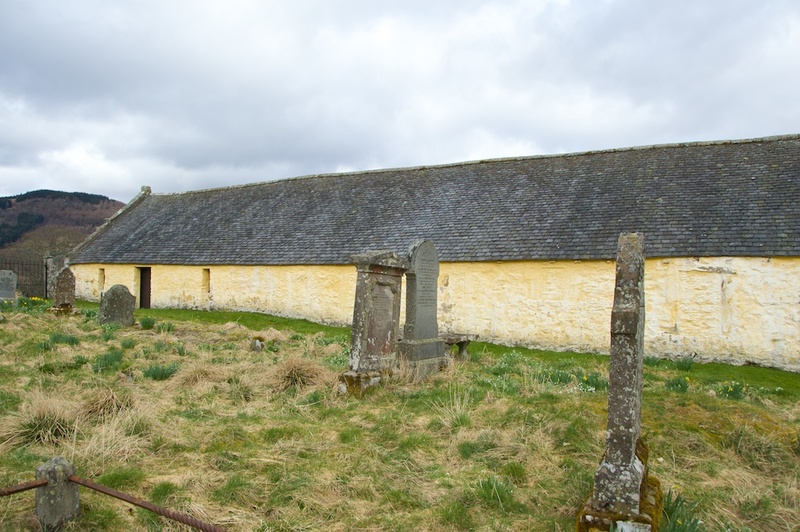 One source suggests that the western half may have provided accommodation for a resident priest, but Historic Scotland says that the eastern end, with the decorated ceiling, was used by the Stewarts as a family burial vault. In either case, the decoration is thought to reflect Sir William’s support of Charles I in his attempt to bring the Scottish reformed church in line with that of England. Some of the images are quite graphic, when you study them: the central panel depicts the Last Judgment, with a figure of death hovering over a sick person as anxious relatives and trumpet-blowing angels look on; the black-and-white chequering beneath the sickbed is a component of the Stewart coat of arms. Surrounding this, and flowing down over the roof in elegant curves, are a series of roundels bearing heraldic arms and portraits of saints, richly adorned with scrolls, angels, leaves and fruit. Four are dedicated to the Evangelists: Saint John, St Mark, St Luke and St Matthew. Beneath some of the coats of arms are the names of the Stewarts and their family: I could make out ‘Earle of Atholl, ‘Dame Agneis Moncrief’, ‘Duik of Lennox’, and ‘The Laird of Graintuilie’. (If you click on the photos, they should enlarge). Tempera paints, made from mixing natural pigments with a glue-based size, were used to create this masterpiece, but the identity of the artist or artists is unknown. I wonder if they worked down from the top: it’s likely that the central panel was created first. I would like to know how they painted the top parts – lying flat, I would imagine, on some kind of scaffolding. Ever since I went on a dowsing course earlier this year, I’ve been fascinated by energy lines and alignments. I was therefore interested to read that Barry Dunford, author of ‘The Holy Land of Scotland’, discovered “a straight line connecting Montrose (mount rose) on the eastern coast, through the St Mary Churches at Grandtully and Fortingall, to the western Isle of Iona.” (On Iona, the ruins of a 13th century chapel of St Mary lie just to the south-east of the abbey church, whereas at Montrose, where the line begins, a convent dedicated to St Mary was founded in 1230). 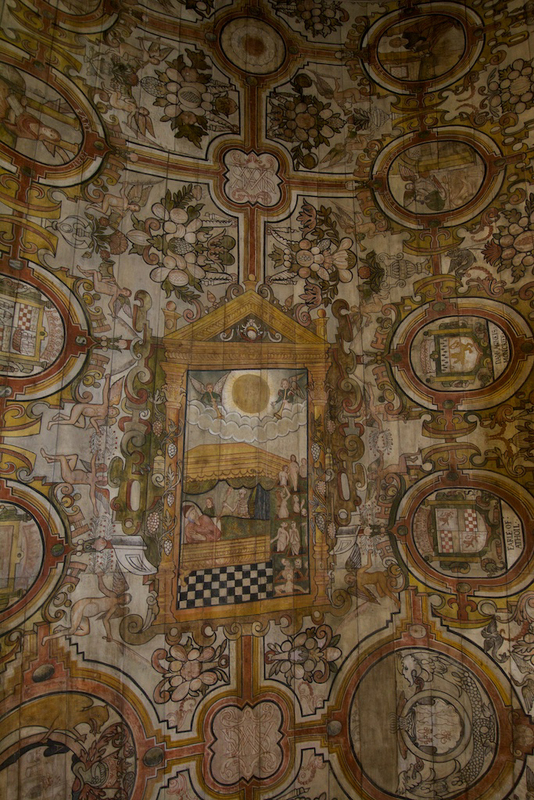 Dunford also claims that some of the images on the ceiling depict Templar knights. I am not qualified to comment on this, but I find the whole idea absolutely fascinating. 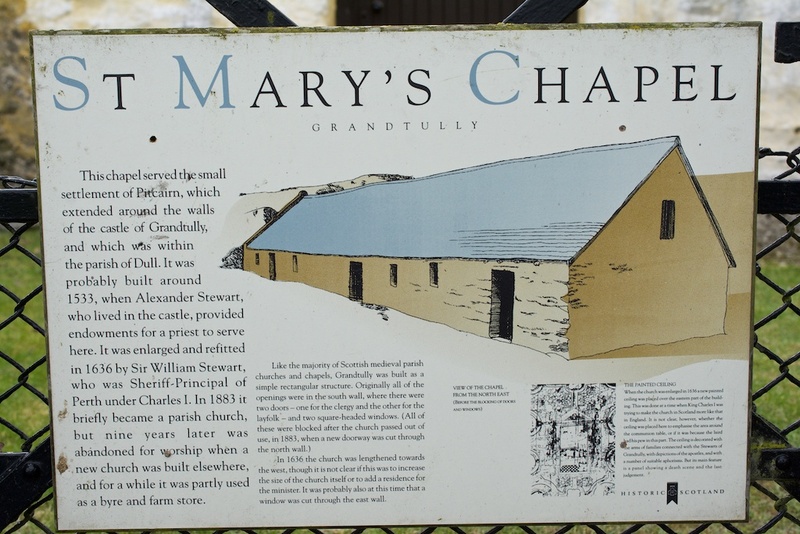 This information board reveals that all of the original openings were in the south wall of the church. There were two doors: one for the clergy and another for the congregation. The doors and windows were blocked up when the church passed out of use in 1883, and a new doorway was cut through the north wall. It was then used for a while as a byre and farm store. St Mary’s Church is now in the care of Historic Scotland. 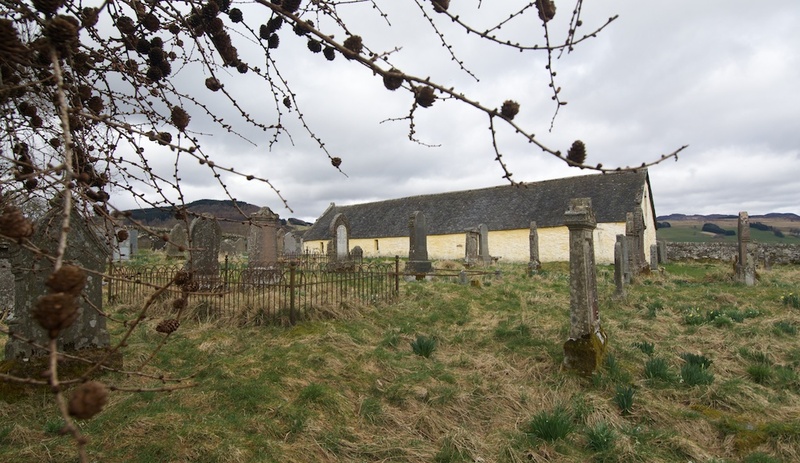 On the south side of the church is an old burial ground with plenty of moss-covered gravestones. The early spring sunshine had brought out some crocuses and daffodils, which made welcome splashes of colour. And all around, nothing but the reassuring peace of farmland and woods. This is how it has been for centuries; and long may it stay that way. 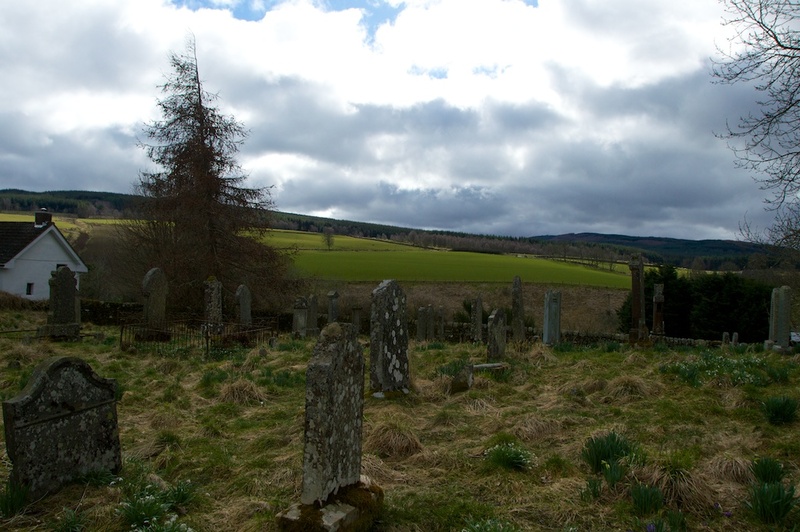 St Mary’s church is situated three miles north-east of Aberfeldy; you’ll need to turn off the A827 which runs alongside the River Tay, and follow the rather dubious-looking ‘road’ for half a mile or so (it feels longer). Watch out for the signs to the Church, as you can easily over-shoot and end up following a farm track up into the fields! There’s a parking space beneath some trees, and a short footpath leading to the church. 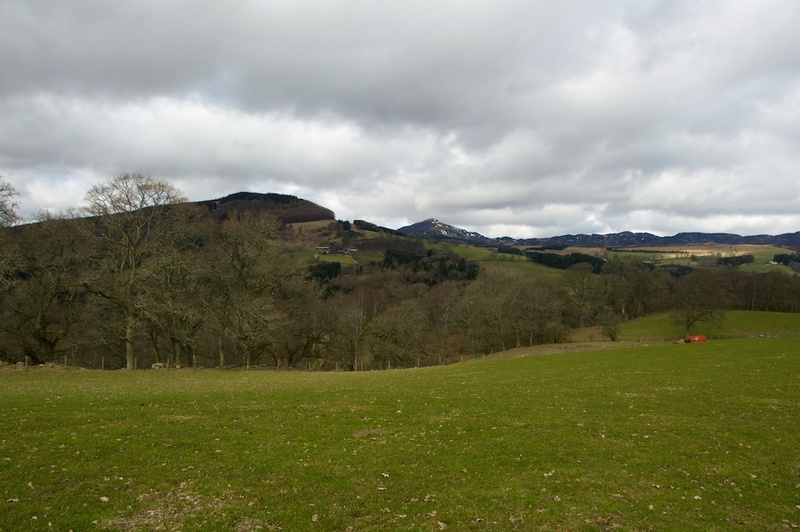 A map and grid reference can be found on the Historic Scotland website. Wow! What a hidden gem. It certainly is, Susan! Took a bit of finding, as well! Jo, this is fascinating. What a ceiling! I’m glad you searched it out. As I’ve written before, I find your posts extraordinarily interesting. Scotland has so much history while Canada in comparison has so little, despite the major influence the Scots had on our history and development. Maybe it is my Scottish ancestry that explains why I find your posts so intriguing, but more likely it is simply because they are so well written and researched. That’s very true, Lynne! If someone kept it roofed and waterproof we have them to thank for preserving the paintings and the history. Yes, lovely to know these places still exist! What a fascinating place, set in such an idyllic rural spot, with so much history, so delightfully revealed. Canada’s historical settlements don’t span across more than a few hundred years, and unfortunately, epecially in our urban centers, the pace of development means that old buildings (a century is old here), get torn down to bulid something bigger, shinier, etc. I feel very drawn to the UK, perhaps because of my family roots, and hope to visit Scotland before too long. Always enjoy your posts, and well-researched historical observations. Thank you so much, Jo, and I can understand the appeal of Scotland especially as so many settlers went to Canada in centuries past. I sometimes think we’re drawn to places in our family history almost subconsciously. I hope you can visit Scotland soon as I’m sure you’d love it! Oh no! I hope you can visit it sometime because I’m sure you’d enjoy it. What an incredible painted ceiling! I love painted churches but they are sadly so rare. Hopefully I’ll have a chance to visit this one some day! I hope so too! Yes, it’s quite something, and I hope you get to see it sometime! There is another painted ceiling from this era at Largs in Ayrshire. Definitely! Well worth seeking out. That’s good, Bill! I’m sure you’ll love it. Haha, I did think of you while writing it! Lovely to know that services are occasionally carried out there. That image you mention is very interesting, and you may well be right about the sheep! Her arm seems to be the size of a man’s, but the face is a bit like the Mona Lisa and very hard to decipher. Would be nice to be able to see the faded detail as that might be a clue! Loved all the blossom in your post, too. Wonderful photos, Jo. It is a most surprising place and you’ve depicted it beautifully. Thank you, Lorna! I’m guessing you know it yourself, being close to your neck of the woods. Such a lovely tranquil spot. I do know it and I agree with you that it’s a most unexpected place. From the the outside there’s no hint of the wonders within. extraordinary is the word the roof looks fantastic – it would be great to see it restored. It certainly is! I would imagine that Historic Scotland are leaving it as it is for the moment, but the roof looks to be in good repair and I would imagine that they check regularly for signs of damp. 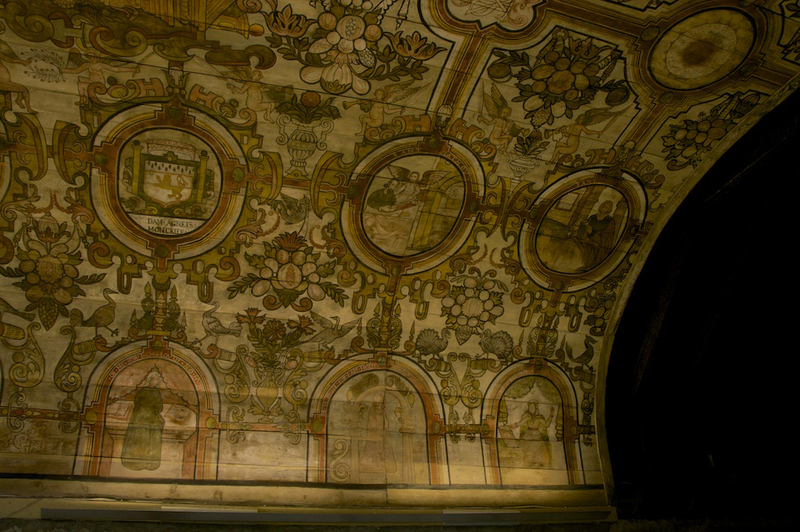 There’s another fantastic painted ceiling at Largs – the Skelmorlie Aisle, which I have yet to visit. 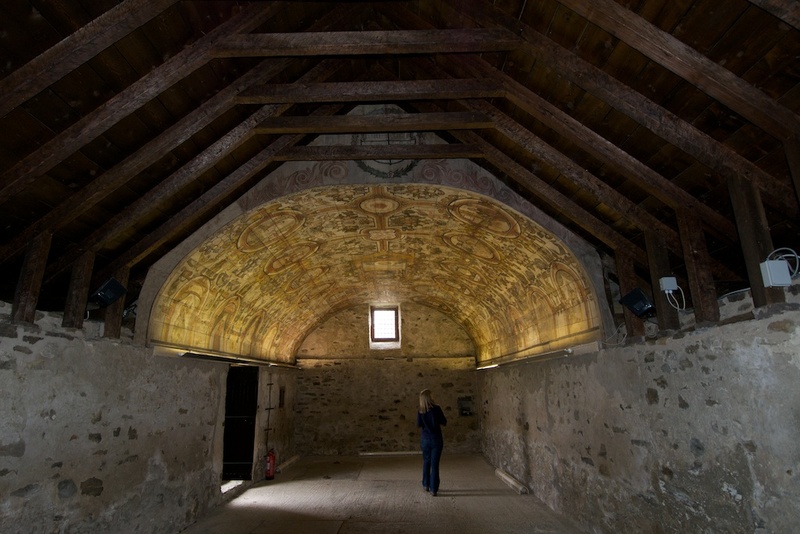 Great photos Jo, of a wonderful and fascinating building 🙂 I’m intrigued by the artwork on the ceiling, we’ve visited both Falkland Palace and Culross Palace this summer, and that style of artwork features quite strongly in both locations. 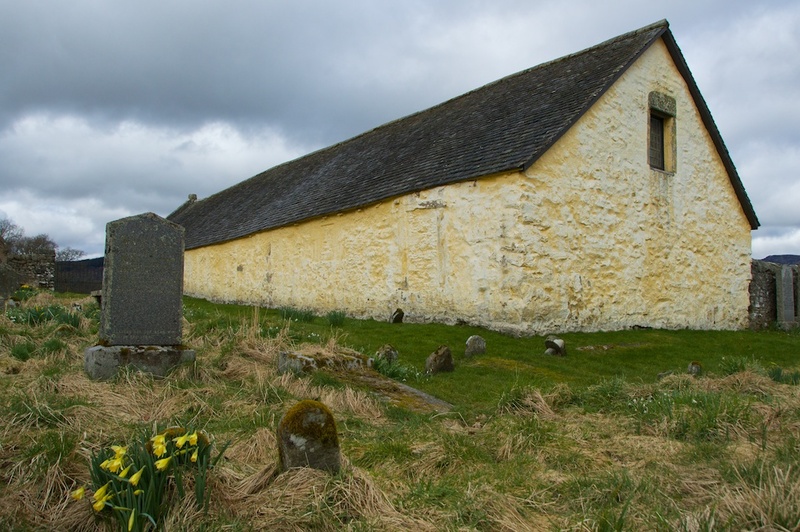 And of course, both locations are also of a similar age to St Mary’s Chapel. I wonder if it was almost like a ‘fashion’/trend in that era to have this type of ceiling/wall artwork, or if it was a select group of artists going from one location to another. And as a follow up to that last point, seeing as Scotland had strong trading connections with the Low Countries in the 1600s, I wonder if maybe the artists were of Flemish origin? Thank you very much, Andy, and that’s a good point about the painters – you may well be right, and I think it was probably a trend at that time, certainly a display of wealth and status. Also, the Stewarts of Grandtully were of course linked with the monarchs of Scotland. Thank you for your kind wishes, and we wish you the same – a wonderful peaceful Christmas and much happiness in the New Year. Fascinating post, I must say! I’m sure many are unaware about the existence of such a wonderful holy place. The splendid clicks of St. Mary’s Church, Grandtully and the history behind its origin is breathtaking. Thanks for showing us such a beautiful creation via your post. You’re most welcome! Yes, what a truly beautiful place, and a pleasure to share the photos and history. I was just there a few weeks ago and I too was in awe of what I saw…absolutely stunning! Definitely at the top of my long list of places to visit again on my next trip back to Scotland. One question…the metal object hanging on the wall as you come into the church…can you tell me what that was used for? I know, what an amazing place! As for the metal object, I wondered the same thing myself! I have taken another look at my photos and I think it might be an old metal brace, to hold the crumbling walls together. It might have been removed during the restoration work but kept in the church. I can’t imagine that it is some kind of relic, as it doesn’t look like that – it has holes for nails or pins. That’s just my guess, though! Thanks Jo…if you ever confirm 100% what it’s use was for, I’d be very interested in knowing. I have a close up of it, and it’s really quite rusted and antiquated looking so I’m not sure what it could be. Will do! It has always interested me too. I remember searching for info about it and finding nothing. Hello Jo, as this mystery was driving me a wee bit mad, I actual contacted historic Scotland and just got an answer after much research. The item on the wall appears to have been part of a mort safe – a contraption for protecting graves from disturbance. It’s a lovely place, Margaret! And in the middle of nowhere – such a wonderfully preserved little gem.